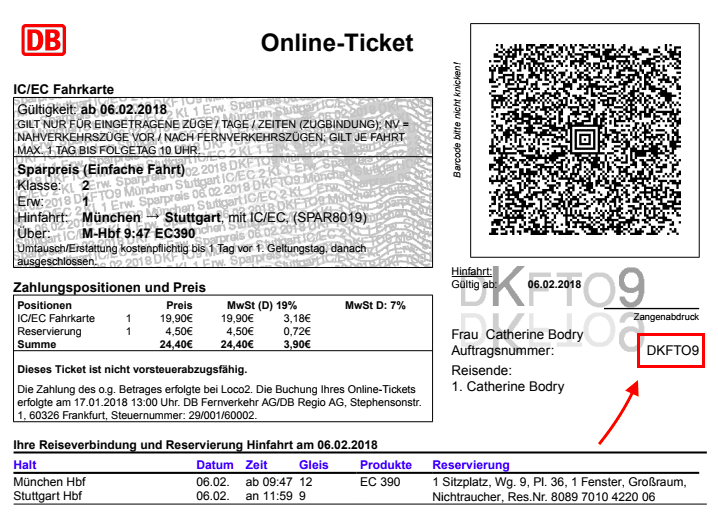 You can change your seat reservation for print-at-home and mobile Deutsche Bahn tickets. For information on finding your seat reservation on your ticket, please see Understanding your German train ticket. If you've booked a Sparpreis Europa ticket (also called London Saver) issued by Deutsche Bahn, it isn't possible to amend the seats online for the Eurostar leg of your journey. However, you can change your seats in person with Eurostar staff at the station. You'll be shown your journey details. From there, follow the instructions to change your seat reservation. Confirm the reservation details and click "Search". Select the same train and class you've already booked and click "Reservation". You don't have to sign up for a Deutsche Bahn account, just continue by clicking "Book without registering"
Once you've proceeded, you'll be asked to confirm the details. It is fee to change your seat reservations. Your original reservation will be marked as cancelled, and you'll need to confirm the new reservation. Deutsche Bahn will email you a confirmation of your new seat reservations, which will include a new ticket and PNR. Your original ticket and PNR will be invalid and cannot be used for travel. Note that the seat numbers that are displayed in your Loco2 account will not change. You'll need to refer to the tickets to find your seats on the day.